releasing April 2019 from Candlewick Press! Hello YABC readers! 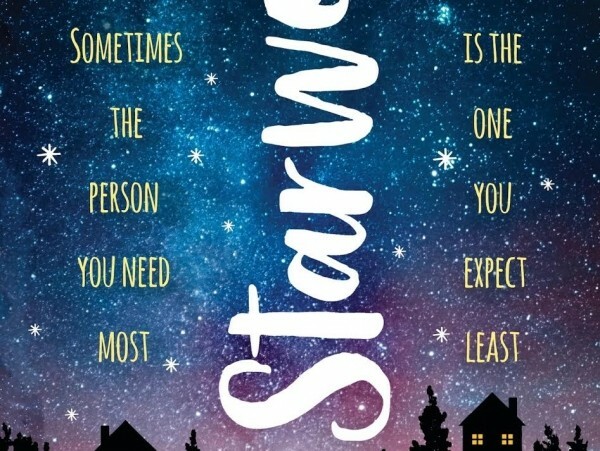 Today we’re thrilled to share the cover of Starworld with you. This novel was born when we asked ourselves one question: what would have happened if high school Audrey had met high school Paula? We believed with all our hearts that, despite how completely different we were as teens, we would have seen one another and forged the same kind of magical connection we did as adults. Pam Consolazio, our gifted and hard-working cover designer, created this design that brilliantly captures the way an entire universe of wonders can exist between two people who, on the surface, seem as different as different can be. The title itself serves almost as a ladder to the sky—and to the imagined worlds where Sam and Zoe escape the day-to-day hardships they face. We hope you love Starworld as much as we do! Paula Garner is the author of the young adult novels Phantom Limbs and Relative Strangers. She lives in the Chicago area. I love that cover -- the writing on the sides creates interest. The summary appeals to me, too. It sounds like the book deals with some issues that today's teen will relate to. I love that cover -- the writing on the sides creates interest. The summary appeals to me, too. It sounds like the book deals with some issues that today's teen will relate to. The cover is GORGEOUS and the book sounds amazing- plus, I love both authors so that makes me even more excited!! The cover is gorgeous and the synopsis sounds emotional and current. Beautiful Cover! Sounds like a lovely story! The cover is stunning. The story sounds emotional and relevant.